According to a Bloomberg report, South Africans need to chill out. The study, published in 2015, ranked South Africa as the second most stressed out country in the world. Why? It seems that, as a nation, we are particularly bad at pursuing a work-life balance and are loathe to show any sign of weakness in the workplace. Add to that a comparative lack of mental health provision and it all adds up. High expectations from employers and fast-paced environments often lead to burn-out, and burn-out often leads to a serious re-evaluation of priorities. And that’s no bad thing. Here at BusinessesForSale.com, we actively promote lifestyle change. If you’ve ever dreamt of dropping out of the rat-race and being your own boss, there are plenty of options. How about a business on the beach, selling and hiring out boards and cool surf-wear, with a laid-back, like-minded clientele and, most importantly, the opportunity to catch some waves when you shut up shop at five? Although it’s not going to be a big-bucks business, this venture has the all-important work-life balance all figured out from the outset and beats the hell out of long hours and soul-destroying commutes. 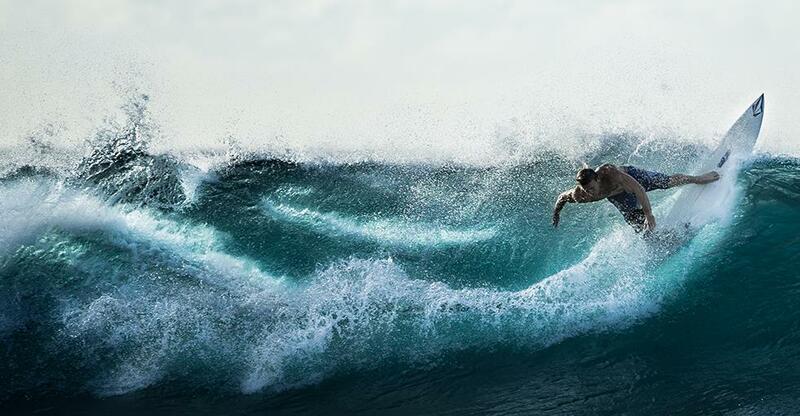 Surf lessons can also be incorporated into your business-plan, depending on your location. Check out the Lifestyle Surf Shop on Muizenberg beach in Cape Town for inspiration. They even offer surf birthday parties! Whether it’s a cosy B&B on the Garden Route or a chic guesthouse in the Western Cape, the idea of abandoning the standard 9-5 and heading somewhere beautiful to run a hospitality business is an enticing one. The seed of the idea, more often than not, is planted when overworked city-dwellers are actually on a break, enjoying their full cooked breakfast and enjoying a view of the beach. ‘We could do this…..’ is on the tip of their tongues as the fantasy makes their freshly squeezed juice taste even sweeter. Of course, few actually act on this dream, as they slot themselves back into the cogs of their familiar routines at home. Those who do, however, discover that setting up such a business is not exactly a holiday. There is the design and upkeep of the property, the endless linen changes, the early mornings in the kitchen, the worry of maintaining a healthy turnover at peak times so you can survive the rest of the year….and somebody has to squeeze those oranges! Nevertheless, many converts never look back and, although they work hard for it, that sun-downer on the terrace when all the chores are done feels a lot like out-running the rat-race. The friendly rush of steam from the coffee machine, the buzz of customers’ chat, some folky tunes permeating the airwaves and a counter full of freshly baked cakes and pastries. That sounds like a nice place to work. Indeed, the coffee-shop is a popular escapist business choice for the tired and disillusioned. Instead of grabbing your latte in a fug of lateness and work-stress as you race to the office…why not run the coffee-shop yourself? The appeal of the simplicity of the day, the satisfaction of regular customers and a friendly work environment, is obvious. It also helps that the mark-up on coffee is a business no-brainer. Other than slightly more potent drugs, the profit margins on coffee are the best in the business. People will pay a lot for a good cup of coffee so some special blends are a must – but with the right beans, some delicious baked goods and that all important ‘atmosphere’ – the coffee shop can be a successful ‘opt out’ business. Books mean a lot to people. They offer escape into endless other worlds and perspectives and are often so valued, they become treasured possessions and comforting friends. One of life’s great pleasures is a browse through an independent bookshop, the myriad slices of life jostling for your attention from the shelves. The chance to curate such an environment is what many would consider a dream escape from more corporate climes. Besides novels and biographies, there are so many beautifully designed art and travel books to decorate your displays. And children’s literature is a visual feast of a section – with the adorning illustrations an art form in themselves. Specialist magazines and beautiful stationary can also add to the rarefied air and, for the bookish and intellectual business owner, to be surrounded by the written word and to interact with like-minded customers is the perfect day-job. Some people just aren’t cut out for office life. For many, the idea of eight hours sitting down at a desk is just unbearable. For highly metabolised folk, a business that can incorporate regular exercise is a dream come true. The use of personal trainers has increased enormously in the last ten years and many have escaped the sedentary life to set up their own coaching businesses – building up clients and tailoring training regimes. When one’s own career has faced a number of knocks and challenges, the idea of a business that helps people manage their own work-livessuccessfully, is an attractive prospect. Life coaching is a popular second career choice and often attracts those who not only have an altruistic nature, but who also want a little more autonomy in their own lives. Life coaching is usually a business built up slowly from home, after initial training, through hard graft and smart marketing and its focus is on the betterment of the individual in all aspects of their lives. However, you can invest in a coaching franchise, such as the globally renowned Action Coach, which focuses more on business practices. The cost of the franchise includes extensive support and training, although a background in business is a pre-requisite. Investing in a florist business is a welcome change to the greyness of office-life. The combination of being surrounded by beautiful blooms all day and the chance to be creative with arrangements is the main attraction here. The scope for development in this business is great with many shops offering designer arrangements for hotels, fashion labels and the PR industry, as well as bespoke whole-wedding schemes. And even if it’s just a standard high-street business, selling flowers is basically peddling happiness – that’s job satisfaction for you. A little like the B&B or guesthouse idea, the safari lodge is just one stage further. Just add some elephants, rhinos, lions, leopards and buffalo into the mix, and you’ve got another (albeit more exhilarating) escapist business. Often owner-managed and run, safari lodges are located all over South Africa’s wildlife reserves and they offer a real business ‘life less ordinary’. As well as all the standard work involved in hospitality, the safari lodge owner will have to employ a team of rangers to run the expeditions, provide transportation and manage the strict health and safety requirements for such an enterprise. Guests will be expecting a life-enhancing experience which will include day and night game drives, bush-walks, luxurious facilities and hearty South African meals. Getting to combine a love of fashion and an obsession with accessories with a career is a dream for many a fashionista. Running a boutique can indulge this fantasy on a daily basis. Obviously, if you are buying an existing business, you will have to bear in mind existing clientele when you are sourcing stock. It will be no use buying in a stack of Gucci cocktail dresses if your immediate demographic is suburban and reserved. But in the right location, a boutique with a creative and driven proprietor and a range of clothes, bags, shoes and jewellery to suit the tastes of many, will likely do well. Ok, so running away with the circus is not really an alternative business plan. Nevertheless, learning circus skills has become a popular pursuit and there is a healthy market for it. There are already many circus skills workshops – which operate mainly in schools but there are also actual circus schools who offer training in trapeze, trampoline, floor acrobatics and comedy routines. Cape Town’s Zip Zap Circus School, for example, was set up by professional trapeze artists Laurence Esteve and Brent van Rensburg after they had run a pay as you go trapeze swing on the waterfront. Laurence’s background in business and Brent’s affinity for teaching led to the highly successful enterprise. The circus combined workshops in township schools, with in-house training which led to a strong enough student-base to stage shows. Their performances have been enjoyed world-wide and many students have now turned professional or entered into the performing arts. Ready to make a change? Sign up for a free BusinessesForSale.com account to receive the latest small business advice, features, videos and listings directly to your inbox!